In July of this year, I sat for the Vermont Bar Exam in Montpelier. This past Friday, I got my letter in the mail: I passed! This is the culmination of four years of apprenticeship and study, about five months of intensive bar review and preparation, three grueling days of exams (including the Multistate Professional Responsibility Exam), and worst of all, two torturous months of limbo as I waited for my results. I’m an unusual bar examinee. Vermont is one of a handful of states that allows me to practice law without going to law school proper. Here in Vermont, the Board of Bar Examiners administers, as an alternative, a law office clerkship option. The program requires that the “student” study and work with a practicing lawyer or judge for four years. During that time, the applicant must submit written reports at six-month intervals. For more information on eligibility and requirements for Vermont’s unique clerkship option, visit the Vermont Judiciary’s website. There are lawyers all over Vermont who have gone this route, from private attorneys to public defenders, prosecutors and judges. Amy Davenport, Vermont’s Chief Administrative Judge for the Trial Courts, got her education this way. The law clerkship option is even represented on the Vermont Supreme Court. Marilyn Skoglund, Supreme Court Justice, is a clerkship graduate. There are substantial advantages to the clerkship option. By working with a practicing attorney for four years, clerkship students get unprecedented exposure to the hard realities of law practice. After a short stint in a Vermont State’s Attorney’s office, I had the incredibly good fortune to do my remaining three and a half years as a law clerk at the extraordinary Sleigh & Williams, a criminal defense and civil rights’ firm in St Johnsbury. 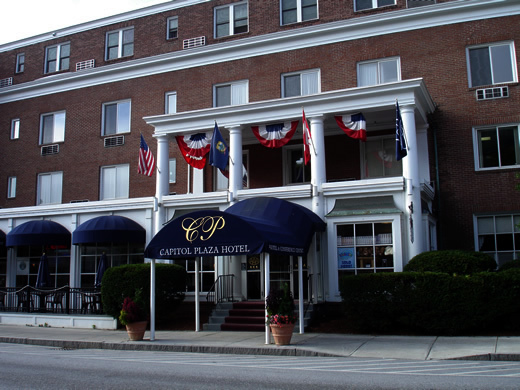 The Capitol Plaza in Montpelier; site of those difficult two days. No law school graduate, whether from Harvard or Vermont Law, finishes her education with that kind of experience. When I’m admitted later this fall, I’ll start my career with no debt. In stark contrast, the average law school graduate ends up owing $100K in student loans. Recently, the New York Times reported at considerable length on the consequences of this crushing debt burden for aspiring lawyers. In the midst of all the current debate about the viability of a law school education, it’s genuinely remarkable that almost no one is talking about the clerkship programs. I kept track of how much I spent on my education during the four years of my clerkship, and it amounted to about $8,000. Total. That included gas for mileage, a dedicated “law” laptop computer, lots of books, the costs of two bar review courses, and the fees associated with application for admission and examinations. There are some drawbacks to the clerkship and it may not be for everyone. There were times when I badly wished that I had a group of fellow law students to keep me company while I studied. Moreover, in order to be successful doing the clerkship, you need to be disciplined, ie: have the ability to structure your own course of study. Most of the time, I did that reasonably well, but it wasn’t always easy. However, in the end, for me, the positive aspects of the law office clerkship outweighed the negatives. I’m just very proud and glad to have gotten through it! I’ll post more on the bar exam experience itself later…. I won second prize at the apple pie contest today! Yay! It was so much fun. My first pie prize! Many thanks to Susan McVetty for recommending and giving me the best apples from her orchard, and to Karen, Lj Holland’s friend, who gave me some tips on the cheddar cheese crust. As you all know, I welcome comments on my blog. 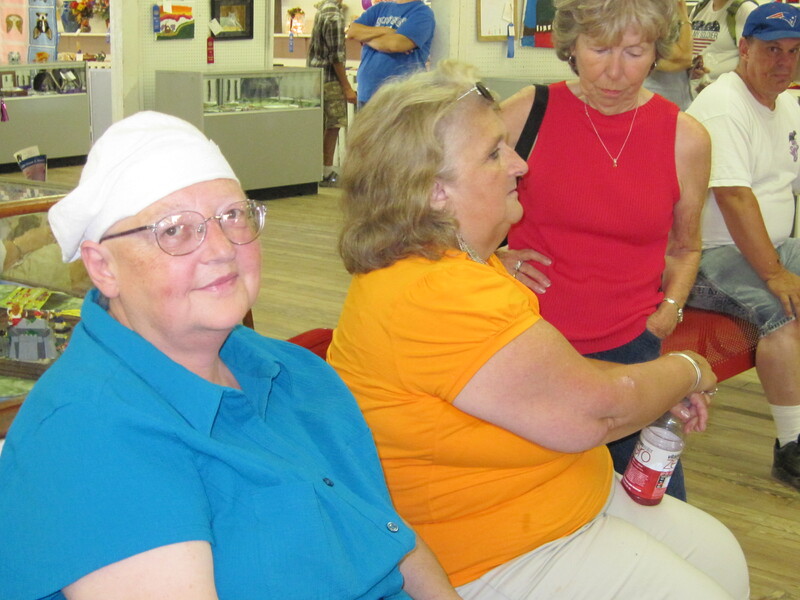 In fact, that’s part of its purpose, to generate dialogue and debate about local politics. Barring abuse or truly bad language, my policy is to approve all comments, in the interest of dialogue and debate. However, I now have added another small criteria for having blog comments approved: you must identify yourself with your full name. I am frankly not interested in anonymous debates, and moreover, I firmly believe that people with something to say should be able to stand behind their opinions (apart, of course, from the secrecy of the ballot box.) So comment and/or disagree away but let me know your name! 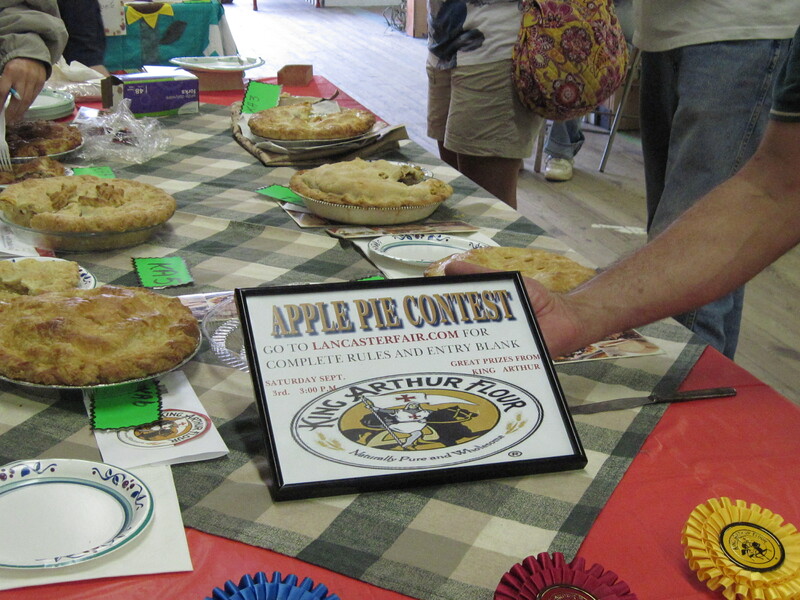 Okay, the pie contest didn’t take place in Vermont’s Northeast Kingdom. It was across the river at the Lancaster Fair in New Hampshire. But close enough. 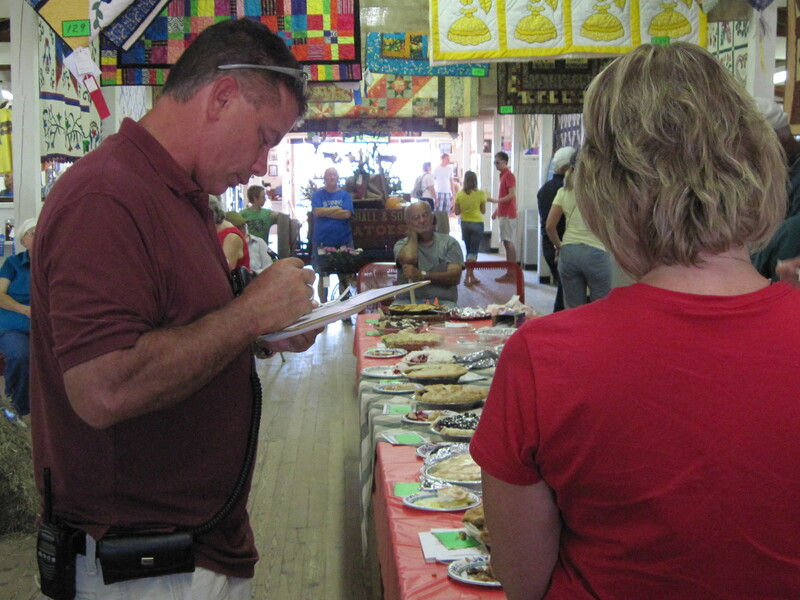 People in Guildhall and most of Essex County, especially the river towns, consider the Lancaster Fair to be their own local agricultural fair. 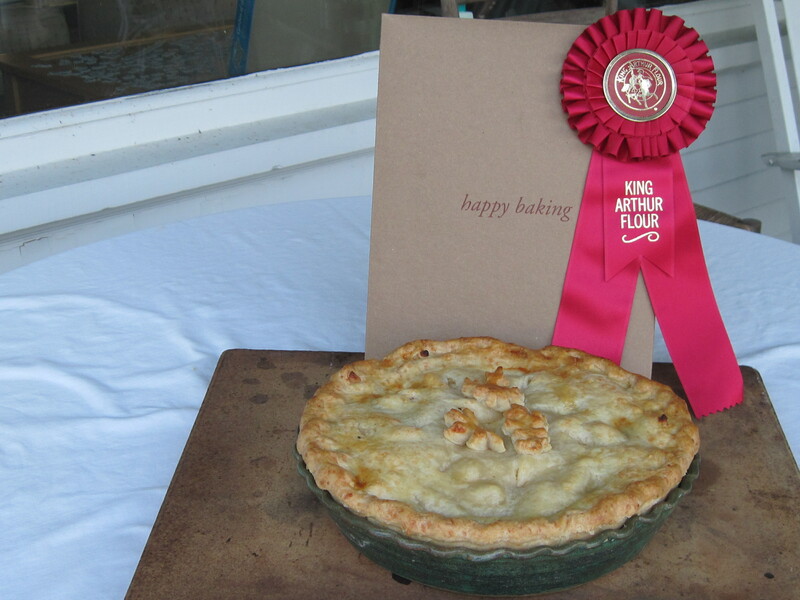 I’ve never entered a piemaking contest before this. So I was excited, whatever the outcome. I started by making the crust this morning at 7am so it could chill properly. My pie was a Pear, Walnut and Fig. Here is the Pear, Fig and Walnut Pie recipe, if you’re interested. It’s adapted from a Martha Stewart recipe. The winning Apple Blackberry Pie. 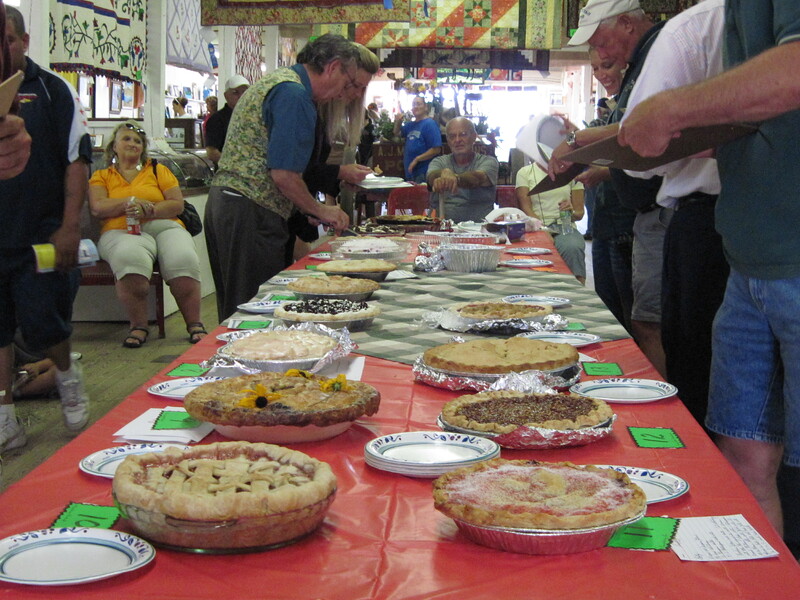 There were 15 pies in competition and four winners. In fourth place was a Blueberry Cream Cheese Pie. In third place was a Caramel Pecan Cheesecake Pie. 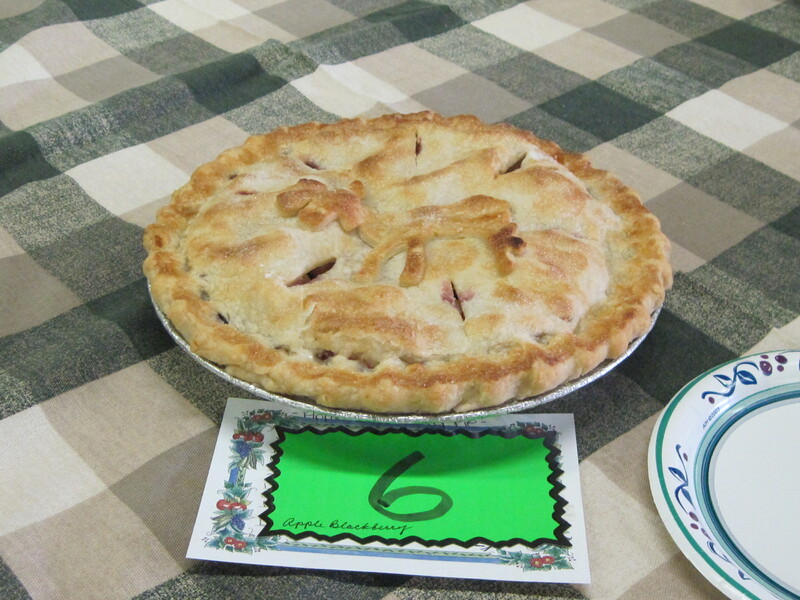 In second place was a Strawberry Rhubarb Pie. In first place, was a glorious-looking Apple Blackberry Pie. The baker-winner of the Apple Blackberry Pie!